Chicken Marsala is an Italian-American dish of golden pan-fried chicken cutlets and mushrooms in a rich Marsala wine sauce. Though it’s a classic restaurant dish, it’s really easy to make at home. With just one pan, you can have it on the dinner table in 45 minutes. I buy whole chicken breasts and pound them thin myself (I’m not a fan of the ultra-thin pre-sliced cutlets), but you can skip this step by using chicken tenderloins. Either way, buy pre-sliced mushrooms to save time. Marsala is a brandy-fortified wine from Sicily that is worth adding to your pantry, if only to make this dish time and again; it will keep in a cool, dry spot for months. This recipe yields a lovely sauce that is wonderful over pasta, polenta, rice, or mashed potatoes. If your chicken breasts are large (like the ones in the photo above that are about 3/4 lb. each), it’s best to first cut them horizontally to form four flat fillets, then pound them to an even 1/4-inch thickness. If you pound large chicken breasts without first halving them, they’ll be huge. Of course, you could also pound them thin first and then cut them in half vertically; the only drawback is that they’ll lose their natural shape (which, admittedly, is not a big deal!). Place the flour, 3/4 teaspoon salt, and 1/4 teaspoon pepper in a ziplock bag. Add the chicken to the bag; seal bag tightly and shake to coat chicken evenly. Set aside. Heat the oil and 1 tablespoon of the butter in a large skillet over medium-high heat. (Use a stainless steel pan for the best browning. Nonstick will work too, but you won’t get that nice golden color on the chicken.) Place the flour-dusted chicken in the pan, shaking off any excess first. Cook, turning once, until the chicken is golden and just barely cooked through, about 5 to 6 minutes total. Transfer the chicken to a plate and set aside. Melt the remaining tablespoon of butter in the pan. Add the mushrooms and cook, stirring frequently, until the mushrooms begin to brown, 3 to 4 minutes. Add the shallots, garlic, and ¼ teaspoon of salt. Cook for 1 to 2 minutes more. Add the broth, wine, heavy cream, thyme, 1/4 teaspoon salt, and 1/8 teaspoon of pepper; use a wooden spoon to scrape any brown bits from the pan into the liquid. Bring the liquid to a boil, then reduce the heat to medium. Gently boil, uncovered, until the sauce is reduced by about half, slightly thickened, and darkened in color, 10 to 15 minutes (you’re going for a thin cream sauce; it won’t start to thicken until the very end of the cooking time). Add the chicken back to the pan, along with any juices that accumulated on the plate. Reduce the heat to low and simmer until the chicken is warmed through and the sauce thickens a bit more, 2 to 3 minutes. Sprinkle with parsley, if using, and serve. For more restaurant-style Italian chicken recipes, check out my Chicken Parmesan and Chicken Piccata. Place the flour, 3/4 teaspoon salt, and 1/4 teaspoon pepper in a ziplock bag. Add the chicken to the bag; seal bag tightly and shake to coat chicken evenly. Set aside. Heat the oil and 2 tablespoons of the butter in a large skillet over medium-high heat. (Use a stainless steel pan for the best browning. Nonstick will work too, but you won’t get that nice golden color on the chicken.) Place the flour-dusted chicken in the pan, shaking off any excess first, and cook, turning once, until the chicken is golden and just barely cooked through, about 5 to 6 minutes total. Transfer the chicken to a plate and set aside. Melt the remaining tablespoon of butter in the pan. Add the mushrooms and cook, stirring frequently, until the mushrooms begin to brown, 3 to 4 minutes. Add the shallots, garlic, and 1/4 teaspoon of salt; cook for 1 to 2 minutes more. Add the broth, wine, heavy cream, thyme, 1/4 teaspoon salt, and 1/8 teaspoon of pepper; use a wooden spoon to scrape any brown bits from the pan into the liquid. Bring the liquid to a boil, then reduce the heat to medium and gently boil, uncovered, until the sauce is reduced by about half, slightly thickened, and darkened in color, 10 to 15 minutes (you’re going for a thin cream sauce; it won’t start to thicken until the very end of the cooking time). Add the chicken back to the pan, along with any juices that accumulated on the plate. Reduce the heat to low and simmer until the chicken is warmed through and the sauce thickens a bit more, 2 to 3 minutes. Sprinkle with parsley, if using, and serve. Note: If your chicken breasts are large (like the ones in the photos that are about 3/4 lb. each), it’s best to first cut them horizontally to form four flat fillets, then pound them to an even 1/4-inch thickness. If you pound large chicken breasts without first halving them, they’ll be huge. Of course, you could also pound them thin first and then cut them in half vertically; the only drawback is that they’ll lose their natural shape (which, admittedly, is not a big deal!). I made the Chicken Marsala just recently – it was wonderful. I’ve never cooked with Marsala wine before so thank you for the tip that it can keep in a cool dry spot for months. I served it with the Spring Risotto with Asparagus and Peas recipe. I made a half recipe of the risotto as I wasn’t sure my family would like it – we loved it. The flavors just blended together so nicely. Adding the wine gave it such a delicious taste. I’m making the risotto for Easter dinner! Thank you for your step by step recipes and pictures too to follow. I want to make this for 10 people. Can you make it a day ahead of time and then reheat in the oven? Hi Christine, Unfortunately this dish is best made right before serving. Sorry! “Is it a keeper?” This is the tactful question I ask my husband when I try a new recipe. His response for Chicken Marsala? Two thumbs up! Although usually preferring dark chicken meat because of its moistness, he loved this delicious medley starting with chicken breasts. Instead of flour I prepped the breasts with almond meal (gluten free), crimini mushrooms for an added depth of flavor, and mascarpone instead of heavy cream for a soupcon of sweetness. YUM!! My “go to” meal, when I want to make my hubby happy. He absolutely loves this dinner, and it is not too time consuming for a week day night dinner. I had bought a bottle of marsala for a different recipe and was looking for a way to use it up and came across this. I never had chicken marsala before I can say this is hands down an incredible dish. I had to force myself to stop eating it. Thank you. Best Chicken Marsala we’ve eaten since being in Italy. The flavor and consistency are perfect and Jenn’s instructions make it a “cannot fail” recipe. Wonderful for family meals or serving to dinner guests. Another delicious recipe everybody loved!! I invited friends over for dinner and made extra so my husband could try it the next day (he was working at the firehouse) and there wasn’t any left at the end of the night! Love that you suggest buying precut mushrooms, I also bought my chicken already trimmed and pounded thin so this was really about throwing everything together. I like that the sauce is thicker than most Marsala sauces, my moms never was thick. Yum yum new favorite!! This recipe has become a favorite in our house. I’ve made it with both pasta and mashed potatoes as sides. Like them both equally. We like a lot of extra sauce in our family so I double the wet ingredients and end up with the perfect amount of sauce. I have shared this recipe/web site with several friends and family and they were just as pleased! I made this for my son’s birthday dinner. I made it exactly as the recipe was written. I have tried other recipes and I have never been satisfied. This recipe is a winner! He told me it was the best marsala he had ever eaten. The directions were very easy to follow and I liked pictures of how to prepare the chicken for cooking. I will keep this recipe bookmarked for future events! Love the many recipes on this site. One day I had a hankering for Chicken Marsala. It may have been the day I came on this website and went recipe by recipe through Jenn’s Tested and Perfected section because… well, duh… I tend to find winners in there. I pulled this recipe and went out looking for Marsala wine. In my area it turned out to be a little harder than I expected but I ended up finding it at Publix. This Chicken Marsala recipe turned out to be so spot on that I was delighted I’d put in the extra effort to find marsala wine because I have remade this recipe often. I usually add extra mushrooms but only because I adore them. The amount called for in the recipe is correct. I concur with her method of splitting the chicken breasts and then putting them in a ziplock baggie and pounding to your desired thinness, there’s something I don’t like about the ones bought thin in the store and I’ve always followed that process, too. I do make more sauce because I like to sauce this dish generously, that’s personal preference. The one piece of advice I would give is to give the Marsala time to cook off. I’ve been in a hurry and hurried that step before and that’s not one of the steps I’d recommend hurrying through. This is one of my current favorite recipes in regular rotation in my house and I’d daresay in other homes, too, with 354 reviews before mine. Well done, Jenn. Chicken Marsala is my favorite dish at a Italian restaurant, so I was curious to try Chef Jenn’s version. I am very impressed with this recipe, tastes just as good as any Italian restaurant. Very easy to make and oh, it tastes so great. I love it and it is now in my Paprika 3 (digital cookbook app), as a favorite. My family loves this dish. It is better than restaurant quality. I have made it twice. I do leave out the mushrooms because my family dislikes them. The second time I substituted vegetable broth for the chicken broth and half & half for the cream, which resulted in a too-thin sauce that I had to thicken with Wondra flour. The recipe as written is the best. Thanks, Jenn, for your delicious, reliable recipes! Outstanding recipe! Cooked as instructed. Next time I may double the sauce just to spread around on everything else since it’s so delicious. This is the third recipe I tried thus far from this website and they all have been a big hit. So, I stopped playing around and purchased the cookbook. It was good to see the book available electronically via Kindle as I cook with my device in the kitchen. That’s a “Win- Win.” Thanks again! Can I make it a day ahead? Hi Martha, Unfortunately this dish is best made right before serving. Sorry! Thank you! thank you! for specifying dry Marsala. Most recipes don’t make that distinction, so I never know which is the right Marsala for a given recipe. I love your recipes. I have your cookbook, and as a long-time cook I can state without equivocation I’ve never had a cookbook where I bookmarked so many recipes to try! In fact, when I made chicken Marsala recently, I looked in your cookbook for that recipe and had to use a different one when I didn’t find the recipe there. I made this last night for my 3 teenage boys who are picky eaters and they LOVED it! Asked to add this to our usual dinners! Thank you Soo much! I only have sweet Marsala wine. Can I use that instead of the dry Marsala. Hi Jeaanine, Sweet marsala will work here. You may find you need to add a squeeze of lemon before serving to balance the sweetness though. Hope you enjoy! Best chicken marsala recipe ever. Outstanding! I served this over a bed of spinach linguine. Easy and fun to make. Another winner! The sauce was so good that I wanted to lick the platter– okay, maybe I did when no one was looking! I served it with Parmesan Mashed Potatoes and Roasted Carrots with Thyme (both from this site). The meal was special enough for Valentine’s Day, but easy enough for a weeknight. Your Chicken Marsala is wonderful! Thank you. My only suggestion is to make extra sauce; it is totally yummy and mine reduced too much, too quickly. I concur conclusively, extra sauce for noodles, rice or potatos is an excellent idea. I am going to use rice and asperagus. This recipe is EXCELLENT! I’ve made it twice now, and both times, it turned out perfectly! It’s a definite keeper. needs more sauce so should i just increase the wine AND chicken broth to 3/4 cups? Soooooo deliciously melt in your mouth…OMG…Kudos to you on this recipe.. I have to work on getting the gravy right..which was my booboo. But I loved it!!!! This one will win his or her ❤…and keepum coming back. Can I substitute the cream for something else . I am lactose intolerant and stay away from cream or milk . Hi Sonia, I’ve only made this with the heavy cream, but one reader Rich’s non-dairy coffee creamer (frozen) and another mentioned she was going to try it with Trader Joe’s unflavored non-dairy creamer. Hope that helps! BFYI THIS THE BEST, DELICIOUS. absolutely delicious! i drained my mushrooms and added a few extra dashes of flour and extra butter to thicken! That is without a doubt the best way to cook chicken breasts. I’ve been meaning to cook this for about a year and just got around to making it tonight. My husband is a dark meat eater and doesn’t like wine so its perfect now that he’s out of town. Fabulous! Thanks Jen! I have heavy whipping cream in the fridge. Is this close enough to heavy cream? Thanks! Amazing!! Best Chicken Marsala ever!! I have used quite a few of your recipes and have never been disappointed. Thanks for all your delicious recipes!! Sure, Marsh, that should work. Hope you enjoy! I made 1 and 1/2 times, because that’s how much chicken I had, and did it all in my paella pan. My step-sons weren’t ready to eat at the right time, so I kept it warm over the penne pasta I had made. Rave reviews from husband and his boys!! I’m excited to try more of your recipes, thank you so much!! This was amazing. Thank you for sharing your recipe. I followed it exactly. I will definitely be making this on a regular basis. My picky husband even said he liked it and that’s saying a lot!! The recipe was easy to follow. I served it over mashed potatoes and broccoli as a vegetable. This recipe is worth every bit of 5 stars!! I made this with chicken thighs instead of chicken breasts and we loved it. I also didn’t have any shallots so I used some green onion instead (not sure if that was a good substitution to be honest) but overall this was delicious. My sauce also turned out lighter than the picture but thickened up fine, so I’m not sure if that is just from the order of when I put my ingredients in? But tasted amazing and definitely will be making this again. Paired this with some quinoa/brown rice mix. For the people whose sauce curdled – this will work better if you add the Marsala wine first, and burn off the alcohol, before adding the chicken stock, and then the cream. Mixing the cream in before the alcohol burns off may result in a curdled (though still tasty) sauce. I actually made this with whole milk, and then stirred in a mix of one tablespoon of butter mixed with a tablespoon of flour at the end, before adding the chicken. Handy if you don’t have cream, and somewhat lower calorie as well. I love this recipe! So good! Glad I found this! Best chicken Marsala recipe I have ever made and I love my two other go to’s. Jenn, you NEVER disappoint! I followed the recipe exactly. It’s the perfect balance of cream, wine, broth. What I do appreciate about your recipes too is that whenever you make a sauce there is always enough, you don’t need to double it. We could drink that sauce lol. THANK YOU ONCE AGAIN! Made this for the first time for my wife and me. Turned out great. Makes my list of dishes which we can serve to guests. I made this the other night and my family agreed that it was better then any Chicken Marsala we had ever eaten. I look forward to trying more of your recipes. It was easy to make. Is it possible to prepare the chicken a few hours before serving, and then reheat? Hi Joan, I’m sorry but I wouldn’t recommend making this ahead – it’s really best served right after it’s cooked. Hi Jenn…..one question about pans…does the le cruset brown as well as stainless steel? Hi Sharon, Yes Le Creuset pans brown beautifully. I used my le creuset tonight and it worked beautifully! An absolutely elegant dish but so easy to prepare. Followed recipe exactly and it was so good it’s now my go to dish for company. 5 stars! I used your Chicken Marsala recipe. The dish was delicious. I love the mushrooms and the flavor the marsala wine brings to the dish. It was easy to make and everyone enjoyed it. This is my family’s go to Chicken Marsala recipe. We have made this time and time again. My husband always gets requests at the fire station to make it for dinner from his co-workers. We either make it with fettuccine or with garlic mashed potatoes. Yum! I have literally made this dish a dozen times, I’m not even kidding.. it’s THAT good! I have had requests from family members to make it for their birthday dinner! The taste is ahhhhmazing and it is really easy to make! I pair it with mashed potatoes or pasta noodles.. both are perfect! A MUST try.. so So good, you will not be disappointed! Hi Marsha, I wouldn’t recommend chicken thighs here; they’re much fattier and I think it would make the sauce greasy – sorry! This recipe was so tasty! Everything I have made using your recipes have turned out great. Because we don’t eat dairy, I used coconut milk and margarine, and it still tasted really good. Do you have to use heavy cream? What could be a substitute for this? Hi Lewis, You can use 1/2 & 1/2 in place of the heavy cream, but the sauce won’t thicken as much. Hope that helps! You’ve done it again, Jenn! You’ve made me look like an awesome chef. This was the best chicken Marsala I can recall tasting (and I order it a lot in restaurants). My husband raved and I couldn’t believe how delicious it turned out. The sauce seemed lighter in color than I expected, which had me a little worried, but it turned out perfect! I’m so happy I stumbled upon your website – you’ve upped my cooking game! Love this recipe. I like to double the wet ingredients and cook pasta in it. Thickens up nicely and gives the noodles more flavor. So, you do not double all ingredients? I love this recipe and so does everyone who has tried it! It doesn’t seem like there is any way to “make ahead”; guessing it would not be good? Curious since I like to make it for company and love anything make ahead when entertaining. Glad you like it, Laura! Yes, you’re right that this really is best if made right before eating – sorry! Hi Reema, Sorry to hear you struggled with this – how did the dish turn out? This recipe was excellent. I used half and half, instead of heavy cream, and still had perfect results. Just delicious, and leftovers reheated perfectly; put them into a pan on low with a few spoonfuls each of water and wine, and served over garlic mashed potatoes. What non-alcohol substitution would you prefer for the Marsala wine? Hi Ellie, Unfortunately there’s no good substitute for the wine in this recipe – sorry! Way too much cream…I think it blunted the flavor of the Marsala. I made this last night and it was a huge hit with my family. One of my sons said “this tastes like restaurant food”, another said “I can taste all the love in this chicken”! Super easy to make, worth all the prep and steps for sure. This will be added to our meal rotation starting with lunch today! Glad I made a double batch!! Another fantastic recipe from Jenn. Followed exactly and came out phenomenal! My family loved it! Will definitely be a life long recipe I make. It was my first time making chicken Marsala and this is the only recipe I’ll ever need! So good! Thank you. One of the best dishes I ever made for my kids!!! Prepared another terrific dinner for my family. Thank you! My sauce also curdled and never came together. It also never really got any darker. Hi Kathleen, I’m sorry to hear you had a problem with the sauce. Is there any chance that your cream was spoiled? First time I’ve ever made this, and it has always been one of my favorite Italian/American dishes! My wife and daughter Loved it, and I’m so happy that I used this recipe. It was very, very good! Can you use sweet marsala? Sure Marlena – it won’t make a big difference. You may find you need a squeeze of lemon at the end to balance the sweetness though. Hope you enjoy! My husband’s eyes lit up like a Christmas tree when I made this for him. He said it was the best he had ever eaten! Thanks for the recipe! I’ve made this a number of times, and I love it. Unfortunately, the last two times I’ve made it, the sauce separated when I added the chicken back in. It just became a greasy mess (although it still tasted good). Any idea how to make sure this doesn’t happen in the future? Hmmm…. that’s a head scratcher – did you make any changes at all to the recipe? I followed this recipe to a T, but the sauce curdled almost immediately – do you know what might have happened? It seems like everyone else did really well with it, but it just didn’t work for me. Hi Jodi, Sorry you had a problem with this! Did you use heavy cream as the recipe indicates? If so, the only thing I can think of that would cause this is that the cream was spoiled. Is there any chance that could’ve been the case? Really great recipe, the family loved it. Can’t wait to serve this dish again. I have made this several times – most recently for company last weekend. It is delicious – made exactly as written although I doubled the sauce (because it’s sooo good!). Another great recipe. Looks like a solid recipe, but I truly believe if the sauce doesn’t have prosciutto, then it’s just not a Marsala sauce. Excellent point…how much and when should it go in? Absolutely love this recipe. I have 20 year olds that love it as well. Easy to make with ingredients you already have in the cupboard. I serve with egg noodles. Makes great leftovers too! I always come back to this recipe! I love using the marsala sauce to drizzle over pasta/veggies that we serve with the chicken. Turns out every time and is quick to put together! This was delicious. Tender and flavorful. Perfect for a family dinner with garlic mashed potatoes and green salad. This looks like a wonderful recipe for dinner tonight. I’m wondering if you have a non-dairy recommendation to substitute for the heavy cream. Hi Cindy, I’ve only made this with the heavy cream, but one reader Rich’s non-dairy coffee creamer (frozen) and another mentioned she was going to try it with Trader Joe’s unflavored non-dairy creamer. Hope that helps! Tried this again as the last time I did not use the heavy cream but half and half. It made all the difference! So good. Fast and easy also. This recipe is outstanding! My husband declared this the dish we serve our friends the next time we throw a dinner party. All the flavors blend perfectly together. It tastes like something you’d order in a restaurant…but better! Thank you for sharing! I’ve made it several times and can make the dish now without looking up the recipe. The sauce is great, I usually serve this over pasta on a large platter with a salad. I made the chicken marsala for my Nephew and his Wife…they are exhausted new parents. My gift to them is one meal a month until the new baby (Emily) is a year old. I am on month four, meal four. This was one of their requested dinners. Rave reviews and gratitude from them both!! The only change I made to recipe is that I substituted half and half for cream, still devine! I am such a fan of Jenn’s. She is my go-to chef when I need a recipe that I know will be a success. She hasn’t failed me yet and I have made many of her recipes. Go Jenn! Go me! This recipe is better than any restaurant. I don’t know how anyone can give it less than 5 stars. Only suggestion I triple the sauce! Felt like the first time there wasn’t enough. Served over your cauliflower mash for low carb option!!!! Best Chicken Marsala recipe and I’ve tried many others! My husband loved it so much as well and I’m going to make it for a dinner party. I followed the recipe to a T. Amazing recipe and amazing chef. I can always count on Jenn’s recipes! Jenn’s Chicken Marsala recipe is excellent! It’s restaurant quality but easy for the home cook. My husband had chicken Marsala at an Italian restaurant in Eastern Market, Detroit and it was delicious. I was determined to find an easy but tasty recipe. A few days later, Jenn’s recipe appeared in my weekly Once Upon a Chef newsletter. Viola! I made it for my husband and my Polish father-in-law, who is a fabulous home cook, and they both loved it! My husband said, keep this recipe and put it in the rotation. The recipe is not complicated and has easy instructions. Once you purchase the Marsala, the other ingredients are few and it comes together easily for an elegant meal. And, if you follow her instructions for the chicken breasts, they have never come out over cooked. We no longer order Chicken Marsala at restaurants because I can make a restaurant quality dish at home. Thanks. I tried 3 chicken masala recipes before serving it for a very special dinner. This was the winner hands down! I didn’t change a thing. I went out on a limb and made this last week. My husband is not a chicken fan—particularly chicken breasts. I’m thrilled to report that he LOVED dinner! I did too and it will go into regular rotation. The chicken is tender, flavorful, and the meal is suitable for company but easy enough for weeknight dinner. Thanks for another excellent recipe. Onceuponachef.com is my first source for superb recipes of all types. Your recipes here and in your cookbook have made me a confident and accomplished cook! Amazing recipe. Do yourself a favor and use good marsala and not that cooking wine stuff like i did the first time i made this (different recipe as well), you will not be disappointed. I will be making this again asap. Made this tonight for my hubby who’s a picky eater he absolutely loved it. Will be making this again for sure. Thank you for the recipe !!! Made this tonight and it was good but not as great as I expected. The only modification I did was to reduce the salt by 1/2 t (and very glad I did), otherwise followed the recipe as written. The thyme dominated the recipe, the sauce did not thicken or get the nice caramel color and the chicken was not tender (perhaps due to “reheating” it after the sauce was ready?). I will make it again, but with some changes. This was as good as it gets and easy to make!! My family and friends loved it! This was really delicious! I followed the recipe to a T, with only the addition of some French green beans because I like to cut the richness in saucy recipes with a green vegetable. I would add a tiny bit less salt next time but it’s still really good as is. I cooked everything in a cast iron skillet and everything turned out like it should. Thank you for sharing this recipe with us! So I’m not usually one for cooking ( I’m not that good at it) but I tried this recipe today and it was great! I changed it a little bit due to not having things like cream, shallots and Marsala wine. Inside I made a rue with chicken broth and a sherry cooking sauce and I also used white onions. It was still really tasty! I will be using this recipe again! Hi Toni, I’m sorry but I wouldn’t recommend making this ahead – it’s really best served right after it’s cooked. So I made a bit of a mistake and bought Madeira instead of Marsala. Could I substitute or is this completely wrong? I’m mad at myself for not double checking. Hi Kasia, I haven’t tried this with Madeira – the taste may be slightly different, but I think it should work. I’d love to hear how it turns out! I used a sherry and it turned out great! Made this for family holiday dinner. I never made it before but took a chance knowing your recipes are great. Indeed it was! My son took leftovers home with him, everyone was looking for them the next day. I used 1/2 the cream, as we discussed, due to an allergy, omitted shallot/garlic, increased thyme. I am not a mushroom eater/buyer, like the flavor, not the texture, so on recommendation of the produce man used baby Bella’s, he was right! Thanks Jenn for making it spot on! Hi Jenn, I made this for dinner last night and although it was good, it was VERY salty! It seemed like a lot of SALT as I was making it, but I love all of your recipes so I just followed your steps. Is there possibly a typo? Or does this recipe really call for 1.25 tsp of salt? Sorry to hear that you found this too salty, Christina! The recipe is accurate (no typo), but feel free to cut back on it a bit next time. I love all your recipes! And I made this Chicken Marsala before exactly as written, and it was delish! Now I’m making for 5 people total and want to double the sauce. Silly question, but in doubling the sauce, would that only be the half & half, chicken broth, and marsala wine? Or should I also double the amount of thyme & shallots and mushrooms? Hopefully you’ll get this message quick as I’m making this today! Thank you for all your wonderful recipes and your book is great! Hi Stacey, So glad you like the recipes! I’d double everything. Enjoy! Thank you so much Jenn for your quick response! Your website and your amazing recipes never fail and always a Success! I have recommended your website and book to all my family and friends and they love your recipes as well! Truly glad I came across your website and can’t wait until you write another cook book with more wonderful recipes! Thank you again! You mention using a stainless steel pan for better browning. would a cast iron skillet work just as well? Hi Sheila, As long as your cast iron pan is well seasoned, it should be just fine. Hope you enjoy! Made this tonight and there wasn’t a bite left! It was easy and DELICIOUS!! Thanks Jenn for another winner! This is the third recipe I have made from this website and yet again I am impressed! This marsala recipe is so easy and really tasted like restaurant quality. Everyone was impressed with how good it was. Thank you! I will definitely add this to my dinner rotation. I really, REALLY did not follow the recipe exactly (sorry! ), but I just wanted to stop by and tell the chef and her readers that these are probably the clearest, best-written *instructions* I have ever found on the Internet. I used to love cooking but, due to chronic bad health, I have been out of commission. This was my first time in the kitchen in over a year! I was initially determined to “wing” a Chicken Marsala, but at the last possible moment I decided I’d feel more confident “following” this particular recipe instead, just because the steps are so well written: not too perfunctory, not overly detailed, not overly clinical, not too ephemeral or loosey-goosey. The recipe was SO easy to follow, and the suggested techniques (dredging in a ziplock bag! So smart!) made me feel like a pro. The ingredients’ measurements and cook times were right on. The whole thing did take me longer than the projected 45 minutes to make, but not by very much. Because the decision to make Chicken Marsala was so, so last-minute, I found myself making increasingly audacious ingredient substitutions. I didn’t even HAVE the titular ingredient–Marsala wine!–so I put white wine, a bit of brandy, some filtered water, and a dollop of chicken-flavored Better than Bouillon into a canning jar before cooking (next time I will add a splash of gluten-free soy sauce for umami). I microwaved the jar and shook it up right before the recipe calls for wine + broth to be added to the saucepan. My pantry had a lot of other limitations, too. I didn’t have flour, heavy cream, OR the aforementioned Marsala wine (!!) and a lot of my other ingredients, like thyme, were dry or canned, not fresh. I also used some “Italian seasoning,” which presumably contains some dried oregano. But, hey! It turns out, dried shallots come back to life in water! After that, they sauteed beautifully. I substituted arrowroot for the flour–not a good decision on my part–and I used whole milk in lieu of cream. The sauce thickened up very nicely (two pinches of arrowroot DID help my cause that time), and I served dinner over riced cauliflower. So I took a fair number of liberties, and my “take” probably wouldn’t ever be mistaken for a legitimate Chicken Marsala. But wow! It was delicious!! I think my substitutions resulted in a dish that tasted like a really, really good Chicken a la King. Everyone agreed with my assessment, and loved it–there were no leftovers! My husband even got a little misty-eyed and said it was neat to see I was having so much fun in the kitchen. And this recipe is SO fun to make, especially the chicken cutlets. You get to pound the chicken flat and then shake it in a bag! What a fun rainy-day recipe for the whole family! I made this for my husband, Chicken Marsala is his favorite thing to order at Italian restaurants. He declared this to be better than any restaurant! Made it exactly as written, thanks for all the great recipes! Tripled the recipe as meal prep for the week for me and my husband. So amazing! If you do this, I recommend wiping the pan after each chicken round except the last one because it starts to burn. The best chicken marsala recipe ever. But switched some ingredients instead of heavy cream I used coconut milk ( it is healthier fat) and instead of green onion ( didnt have any) I used celery chopped up in little pieces. It was delicious. Made it exactly per the recipe and it was delicious. So good that my 22-year-old grandson, who is currently getting some basic cooking lessons from me, said that now that he has learned to sauté, he wants this recipe. He plans to use it to impress his friends with his new- found cooking talents. I LOVE this recipe and want to serve it at a dinner party for 8 people . What, if anything, can be prepared in advance? Maybe browning the chicken? Sauteing the mushrooms? Any suggestions will definitely help! Many thanks. Hi Bill, for the best results, I really wouldn’t suggest making any of the components in advance. You could brown the chicken and refrigerate it, but you’d need to keep the pan with the frond (the browned, caramelized bits) dirty to make the sauce because the frond adds much of the flavor. If anything, I’d suggest preparing the whole dish ahead and reheating it (although I think it’s best right after cooking). Hope that helps! Hi Linda, I think it will be fine as is but if the sauce tastes a bit sweet, you could always add a wee bit of soy sauce to balance it (sounds weird, I know). Wow! I typically read through the reviews and make suggested changes while trying out new recipes but every review said this was fantastic as is so I followed it precisely and am glad I did. It was fabulous! My husband, 7 year old, 5 year old, 2 year old and myself housed this meal! Thank you for a great new addition. I will be making this regularly! This is the first chicken marsala recipe that I have made at home that came up to restaurant quality. Delicious. Do not avoid pounding out the chicken – it makes a big difference. I would suggest increasing the sauce its that good. I usually serve this with wide egg noodles and either a salad or peas with shallot and pancetta. I made 100% to the recipe and it was SO good. One of the best Chicken Marsalas I have ever had! The sauce does look quite purple when cooking but that turns into a brown toward the end of cooking. I am definitely saving this one for my book. Thanks for the great recipe. I recently made this recipe for a small dimner party with long-time freinds, all of whom love to cook. Everyone raved about the Chicken Marsala, and asked for the recipe. I referred them to your website, then suggested they buy your new. cookbook , which I pre-oredered. I’m cooking my way through it. The photos are beautiful and nearly edible, and the recipes so accessible. I love it. Thanks, Jenn. I don’t recommend it, Barbara – sorry! This recipe is absolutely delicious! I have made it several times and my family loves it. Great recipe! My wife and I enjoyed it very much! Battering the chicken causes it to be soggy and doesn’t taste as good as some of the other recipes I’ve made. This is THE best Chicken Marsala recipe! I fixed this the other night and it was so easy and OH MY GAWD was it delicious! Absolutely delicious. Followed the recipe as written and wouldn’t change a thing. Great, rich flavor!! Also, just noticed you have a recipe for Chicken Piccata, another dish I made as saucier. Yum, I’ll be making that one next. I remember it being a bit tricky as the sauce could separate in a nano second if the heat isn’t just right. Thanks again. I made Chicken Marsala a the saucier (sauté cook) at I restaurant I worked at after college. I loved it but haven’t made it since and finally did with this recipe. It was as good as I remember. Followed recipe to a T and wouldn’t change a thing. I’ve made a few of your recipes and they have all been wonderful. I will be buying your book! Congrats on that, btw. Thanks, Derek. ☺️ Glad you enjoyed it! 5 stars all the way, it was easy to make! So creamy and delicious. A new staple in my house. Fantastic. Utilized chicken tenders to save time, not as pretty but wonderful. Paired it with another recipe found here, String Beans with Shallots. Will definitely make both again! This Chicken Marsala was delicious! It will make a superb entree for a dinner party (I would have been happy to drink the sauce :). I had one minor setback, but in the end it did not alter the fabulous taste. I bought 1-1/2 pounds of Trader Joe’s “thin sliced” boneless, skinless chicken breasts, and they were beautifully lean and trimmed. They were not tenders, but full breasts sliced thin like in your pictures. Although they browned nicely during the first step, unfortunately, two of the pieces were still too thick and did not cook completely through (they were slightly pink inside). For that reason, before adding the chicken back to the reduced sauce, I cut the thicker pieces in half lengthwise. I added those face down in the sauce, and during the last few minutes cooking, they turned out perfect!! Thank you for this wonderful recipe. Start to finish, it took only 30 minutes. I made this recipe and my family loved it. Definitely a keeper for another way to make chicken! This was good, and Jen always provides easy to follow directions, but I didn’t think the taste was that great (although others did). Made this for dinner tonight—very easy and chock full of taste. Love your recipes! My only changes were omitting shallots and thyme (I didn’t have any on hand), used half and half instead of cream and brandy instead of Marsala wine— just using what I had. Still fantastic!! Lots of really fresh mushrooms made it flavorful, too. Can I use dry herbs since I don’t have fresh on hand? Sure, that’s fine. You can cut then back to about 1/3 of the fresh herbs called for. Hope you enjoy! Hi Sue, I’m sorry but I wouldn’t recommend making this ahead – it’s really best served right after it’s cooked. Holy moly this was delicious! I followed the recipe to a T and it came out perfect! I paired with mashed potatoes to have a complex carb vs noodles. Definitely let simmer closer to 15 minutes for sauce to thicken and brown. Enjoy! I love this recipe – at our 25th wedding anniversary, it was the main dish. Although, I would like to substitute the heavy cream; what may I use instead? Hi Marisol, Glad you enjoyed this (and happy 25th anniversary)! You could use 1/2 & 1/2 in place of the heavy cream, but the sauce won’t thicken as much. Hope that helps! Is there something else I can use instead of wine? Hi Jenn. I substitute the Marsala wine with 1/4 cup white grape juice, 1Tbsp vanilla extract and 2 Tbsp sherry vinegar. It works great! Joanne. Hi Pattee, the chicken would be delicious with French Green Beans with Shallots and Parmesan Smashed Potatoes. Also, I have a feature on the website– for all main dishes, I suggest one or two sides that I think would pair nicely with them. To see what I’ve suggested, scroll to the top of the recipe page and, immediately under the recipe title, you’ll see a bar with several options, one of which says “pair with.” If you click on this, you’ll see the sides I’ve suggested. Hope that helps! Serve it with roasted colored carrots with either dill or thyme and some steamed asparagus. Nice garlicky Yukon gold mashed potatoes is a great side for your starch. Hi Janice, You could use 1/2 & 1/2 in place of the cream, but the sauce won’t thicken as much. Hope that helps! Just made this tonight! So delicious! I did add a little cornstarch mixed with water toward the end so that the sauce would thicken up a bit, but the flavors were on point. Thank you for another great recipe. I made this a couple of days ago and did something that I rarely do, followed the recipe. It was perfect, no changes needed, rave reviews! 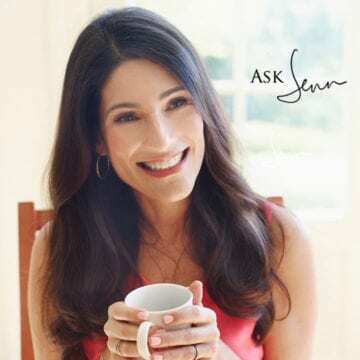 Hi Jenn, I know this is a long shot but is there a suitable substitute for heavy cream? Hi Amy, You could use half and half in place of the cream, although the sauce won’t thicken as much. Hope that helps! This chicken marsala was plate licking good! Great recipe. I added a couple tbsp of flour to the pan just before adding the garlic & onion and it made a thicker sauce which i prefer. Make mashed potatoes with this and pour on the sauce. And buy good marsala. Loved this! Thank you, chef! Phenomenal dish! My family loved it! This is seriously a restaurant quality dish. I’ve made many of Jenn’s dishes and while I’ve never been disappointed with one, I have favorites and this is definitely one. I’ve made other chicken Marsala recipes in the past that were pretty good, but none close to this one. It is definitely a keeper and is already filed in my recipe binder. On a side note, I followed the recipe exactly and my sauce did not thicken to the degree that perhaps it should have. Not sure if it was my technique or pan; either way it was still delicious. I served with a small side of fettuccine alfredo and even drizzled some of the Marsala sauce with mushrooms on it. Thank you Jenn for the smiles and gratitude I received from my two sons after they ate this. I am making this for my guests on Saturday night. Can I prepare the chicken with mushrooms an hour ahead and put in a warming drawer till we eat?? Hi Jeanette, it’s doable, but I do think this is really best served right after cooking. Spectacular !!! Easy, quick, super delicious and impressed the hell out of boyfriend ! Went through hell to get my hands on some Marsala wine in France and when I found it it was not cheap, so I was worried that the dish wont work out and I’d be stuck with a 25 euro bottle of wine, but it was SO good that I was requested to make it again in the same week. Added to my folder of Favourite Recipes. Simple and delicious. As wonderful left over as the first time around. Love this with buttered dutch noodles. Thank you! Hi Clara, I’m sorry but I wouldn’t recommend making this ahead – it’s really best served right after it’s cooked. This was wonderful. My daughter and son went back for thirds. My son says he is putting this in my top three chicken dishes I make. Absolutely the best recipe ever! Tried others and they never worked out for me. Your recipes are fabulous. I can count on accuracy of your printed recipes, the ingredients listed and easy instructions. Your photos add to the ease and i love how you show ingredients. Your recipes are great enough for me to feel confident to share with friends and family! I love telling others my secret when i am asked. 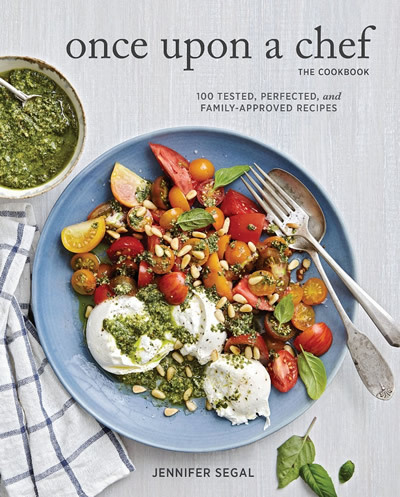 I simply say, “ i follow Once Upon A Chef” and hand them the web address. Keep up the awesome recipes. I am getting your cookbook. All of your recipes are absolutely delicious, but this was my husbands favorite! I’ve made this recipe twice. First time I followed everything to the T, but used veal cutlets and the second time I used bone-in pork chops and finished them in the oven before topping with the sauce. So good! Thanks, Jenn! PS I am counting down the days until I get your book. So easy and quick to make, and is so tasty, I got several compliments on this dinner. I’ve made it twice now, the second time I didn’t have any heavy cream, so I used two percent milk and it still turned out great. The sauce was not quite as thick, but that’s was ok. Thanks for another great recipe. I made this recipe for my family and it was great! My father-in-law was scooping up all the extra sauce off of his plate with a spoon. One question when making something like this for a crowd—the pan/oil/butter are at a great temperature for the first few pieces of chicken, but then I have trouble keeping them warm but not burnt and smokey, especially when adding more butter and oil or the pan. Do you have any suggestions to prevent that next time? Thanks!! I have made Chicken Marsala in the past- but it never turned out as good as this! I followed this recipe step by step (super easy and simple to follow), and it came out perfect. The ingredients needed really do not cost very much which is very helpful. I also cooked angel hair pasta to add to the dish for the chicken marsala to lay on top of. I will definitely be making this dish again soon! I made a double batch of the Chicken Marsala, doubling the ingredients. The recipe was easy to follow. I tweaked the recipe by adding 4 ounces of softened cream cheese,when making the sauce. It made for a creamier sauce . I will make again. So easy to make and the taste was fabulous! Will be a keeper and made more often for family Sunday night dinners! My husbands favorite dish is Chicken Marsala. I already make a pretty decent one but noticed some subtle changes in this recipe so I wanted to try it. I loved it and so did my husband. It’s now my go to recipe for Chicken Marsala. This has become a go to recipe at my house. If my son is home I substitute a veggie like asparagus for the mushrooms. Also serve it over rice sometimes or with shrimp instead of chicken. But the creamy Marsala sauce is so good. This is the 2nd time I made this. Love the taste of the sauce and the chicken is so tender. I personally think the ratio of mushrooms to sauce is too many mushrooms. I doubled the amount of the sauce and served with a side of angel hair pasta and sautéed green beans. Perfect meal! I usually make this for a special occasion because it really is a fancy meal, but surprisingly easy. I use Holland House Marsala from the grocery store and Perdue Freshcuts thin sliced breasts that I don’t pound. Other than that, I follow the directions completely. Green beans are a perfect vegetable to go with this, but I live with broccoli lovers, so I serve that steamed with butter. Also serve parm smashed potatoes that Jenn recommends – sooo easy! A very satisfying meal! This is the second time I made this recipe! I increased the amount of the sauce since this time I served with rice. This is one of our favor recipes! Thank you for making cooking so much easier(for me)!! Amazing recipe! I wouldn’t change a thing. Made this for a dinner party and everyone loved it! Improvision did not prove well this time. Instead of chicken breasts I used chicken thighs thinking the breast meat would be too dry, whereas thigh meat would be juicy and tender. However the thighs were too fatty and the sauce ended up being too greasy and overly rich. Follow Jennifer’s recipe and use chicken breasts as directed. Chicken Marsala is so easy to make and really delicious. I used chicken fillets and already sliced mushrooms to save time. Next time I would use have the amount of heavy cream (1/3 cup) to make a lighter version. I paired it with fresh green beans and a salad. This Chicken Marsala recipe has been a huge hit at our Sunday “Family Dinners” for my gang of 14! Takes a bit more time to make this quantity, but the fact that all six grandkids cleaned their plates made it well worth repeating. I serve it with Polenta prepared with extra butter and parmesan. I’ve learned that when making large quantities, you can place the chicken with the sauce as well as the polenta in separate casseroles and keep them warm in a low oven until the whole gang shows up! Delicious! However I took out the chicken stock and added more wine with pure lemon juice and it turned out fantastic! This was way too delicious for as easy as it was to prepare! I love to cook and this is now one of our favorite dinners. Thanks for a great recipe. This is the best chicken masala I have ever tasted. The recipe is so easy to follow and accurate just follow it step by step and you will serve the most delicious meal better than any restaurant. You will feel like you went to school to be a chef. Once upon a chef is making me into a chef. Everyone I have served this to raves about my cooking. It is a must to make and eat. LOVE IT!! I LOVE this recipe. It’s easy to make and absolutely delicious. I have made it several times in the last month, it’s that addictive. This recipe is so much better than anything I’ve ever had in a restaurant. I personally used sliced white mushrooms instead and served with cacio e pepe. Mashed potatoes would be amazing too to soak up the sauce or I’ve also used some soft french bread that I picked up at the store. Definitely give this recipe a try! I made this dish and it was delicious. I used half and half instead of the cream and it turned out very good. I served it with mashed potatoes and a spinach salad. This easy and delicious chicken marsala has become one of our go to weeknight dinners. Simple with only a few steps and then add a salad and you have a not run of the mill satisfying meal that people think you slaved over. Hey Jenn, I’ve made a few of your dishes and every single one is amazing! Absolutely loved this chicken marsala, just served it with a parm mashed (not your recipe but thanks for the idea), and the French string beans. Will definitely make this again! I made this as written but I didn’t have a mallet so I just cut the chicken in half and then finished the cook in the sauce. The best advice I could give to someone is to precut and measure everything beforehand so it’s easy to put together. Thanks for a great recipe! I have made this recipe twice in the past two weeks. First time, I made it with the Marsala wine I had on time – it was good. Second time, I bought DRY Marsala wine and that made all the difference. My suggestion is to skip the Gallo or whatever American Marsala you will find and search for the Italian dry Marsala. It is a deeper color and the resulting sauce is much more delicious. Shout out to the reviewer who said to up the amount of sauce – I used 1 cup each: wine, chicken broth and cream and extra mushrooms! And I did not pound the chicken breasts – I took frozen breasts, thawed for about 30 minutes and then using a very sharp boning knife (a 6 inch utility knife would also work) and cut them fairly equally in half. Took a minute or two to cook. I agree about the Dry Marsala wine. It makes all the difference! I got Cribari and it is wonderful. I’ve tried the Holland House Marasala Cooking “Wine” in the past and it didn’t taste the best but buying Marsala from the wine aisle truly makes all the difference. Great to hear because I’ve been trying to figure out how to make a bit ahead of time. Having dinner guests that I don’t know very well and don’t want to be standing there cooking while entertaining. I have a warming drawer. How long did you keep it warmed? This is seriously delicious! I’m making it again tomorrow night just as written. Thanks Jenn! Easy to follow and absolutely delicious. Whenever I’m in need of a recipe I look for one here first because each and every single time I have used one of your recipes, it’s been an absolute dream. This was AWESOME and easy! I served it with egg noodles and my whole family loved it. I can’t tell you what a relief it is to know that any recipe I try will turn out perfectly. Thank you Jenn! Jen we really enjoyed this meal. My question is there a substitute seasoning for Thyme? Some thought it a little to strong. Sure, Scott – you could try sage or just leave the herbs out entirely. I served this over white cheddar cheese grits with a roasted aspearagus as a side! So yummy!! I would double the sauce and mushrooms next time! I have to say that I can COOK!!! Only because of you and your recipe for Chicken Marsala! I just finished two helpings myself!! My teenage daughter said, Mom this belongs in a restaurant!! I have never heard that before. Thank you so much for this flavorful and easy recipe. I will definitely make it again. Jenn – Another winner! I made chicken Marsala for our Valentine’s Day dinner. It was a huge hit and I will be making it again I’m sure. It took a little longer to prepare than I had thought it would but it was so worth it. Now that I’ve done it once, next time will be a breeze. And next time I am going to double the amount of mushrooms – totally yum!! I made the chicken marsala and I thought I followed the directions correctly. The dish tasted very good, but the sauce looked like it separated a little. The only thing that I did differently was that I used half and half as I did not have heavy cream. Would the difference in the fat content have made a difference in the appearance? Other than that the dish tasted very very good. Hi Mary, Yes that would explain it – this recipe definitely needs the cream to thicken properly. We rarely cook. We eat out most of the time. But for Valentine’s Day, we decided to stay in and try to make something, and found this recipe. I would say that we are die hard foodies, and this dish beats most of the dishes we get when we eat out in the North End (Italian neighborhood in Boston). This prob ranks in the top 2 chicken marsala dishes I’ve had in my life…the other being at Pete’s Diner in NYC which alas is no longer. She is right – use a stainless steel pan or cast iron to get the right browning of the chicken. Great taste and I would up the marsala, chicken broth and heavy to 1 cup so there is more of that delicious sauce. This was absolutely fantastic!! Six stars!! Tasted even better reheated! Thank you Jenn! Chicken Marsala is my husband’s favorite Italian dish and he rated this better than that of any restaurant. I had to substitute sweet onion for the shallots and i/2 and 1/2 for the cream so it wouldn’t be too rich for his delicate stomach. Delicious! I had no problem with the 1/2 and 1/2 as I added it after the wine and broth warmed. A few sprinkles of Wondra flour assured the sauce would not be too thin. This was absolutely delicious. I used bella mushrooms (not button) and a good quality Marsala. This is the only recipe I’ve found that tastes the way Chicken Marsala should taste! I could eat it every day!!! I suggest allowing a bit more time than the recipe states if, like me, you have thinner chicken cutlets and need to cook them in two batches. Can this be made ahead (eg in the morning) and then served warmed up in the evening? If so, what would be the best way to warm it up without making the chicken tough? Hi Susan, I wouldn’t recommend making this ahead – it’s really best served right after it’s cooked – sorry! I made this a couple of nights ago. It’s easy to make and was absolutely delicious! The leftovers the following day had an even better flavour! I really appreciated having the amounts of salt and pepper because I nearly always under season and my husband didn’t need to add salt as he always does. I served mine with rice. Any suggestions Jenn for other accompaniments? Thanks for the delicious food. So glad you enjoyed this! This would pair nicely with Parmesan Smashed Potatoes and French Green Beans with Shallots. BTW, I have a relatively new feature on the website– for all main dishes, I suggest one or two sides that I think would pair nicely with them. To see what I’ve suggested, scroll to the top of the recipe page and, immediately under the recipe title, you’ll see a bar with several options, one of which says “pair with.” If you click on this, you’ll see the sides I’ve suggested. Thank you for all the recipes you share. Every one has been so wonderful and has received raves every time I’ve made one. I made these last weekend and we loved them! Full of flavor and so easy to prepare- served them with buttered noodles and steamed asparagus. I’ll definitely make again! I made this for the first time. Seems I am always looking for something to do with boneless chicken breasts and this looked appealing. The directions and pictures were very clear re “how to”, easy to make and delicious; the dish turned out perfect! We all loved it and will definitely make it again. I stayed true to the recipe. Thank you. I have some nakke filet (pork neck slices) but no marsala. Would port wine work? Hi Marquita, I haven’t tried this with port wine, but I think it should work. Would love to hear how it turns out! The chops themselves were very good, the sauce itself was not as sweet as marsala. I think if I had used chicken instead it may have worked better. it lacked the sweetness. Hi Marq, If you prefer a sweeter Marsala, you might try a sweet Marsala wine. Made this for my husband’s birthday and he raved for days about how tasty it was. Delicious! Even my son who is not a chicken fan liked this dish. We loved everything about this recipe! We bought a bottle of Marsala but had everything else on hand. My husband and I enjoyed making this dish together. We cut the chicken into smaller pieces (just a personal preference) after pounding it thin. The directions and timing were spot on and the sauce was so flavorful. As suggested, we served this with some steamed baby red potatoes and green beans. Leftovers were served over rice. We will definitely make this again. Wonderful!!! I’ve made Veal and Chicken Marsala before but this seemed simpler for some reason and just as delicious. I used the tenderloins, which also made it easy. Jenn your recipes are fantastic! And I don’t have to look for obscure ingredients or spend hours in preparation to produce incredible dishes that are husband approved. This is my go to sight now. My husband says this is the best thing I’ve ever made! Another winning recipe! Delicious. Followed the recipe exactly, except that I let the chicken simmer in w/ the wine & broth while the sauce was reducing, and then added the cream towards the end. (just wanted to be sure the chicken was cooked through). I don’t know if this changed the sauce, but it was delicious. Will definitely make again. I made this for my wife, and she loved it. I used up what was left in my bottle of Marsala wine, and she wants me to make sure I always have a bottle on hand. I’m wondering what else I could “Marsala” in addition to chicken, perhaps a firm white fish? Glad you all enjoyed it, Tom. You could definitely use a firm white fish; veal or pork cutlets would be good too. Bomb. No surprise though, even though I made a zillion changes- seriously wanted to lick the bowl. Used twice the amount of broth because I didn’t use wine. Used mostly milk with a bit of Greek yogurt instead of cream. Used dried thyme (1/3 the amount). This dish was so delicious! My husband loves Chicken Marsala so I thought I’d check your recipes and found it. So easy to do, your directions and how to photos are so well laid out, unpretentious and great! I served this with French green beans & buttered fettuccine noodles. This one is now in our “excellent recipes to always use” folder. I also made your Beef Stew with Carrots & Potatoes and WOW-SERS! My spouse liked it so much, he shared his delight with our small group meeting yesterday. He went on about it, “she hit it out of the park”, etc. I was embarrassed but pumped. My friends asked for your website. The changes: we only had ¼ c of Marsala wine so used that with ¾ c dry white wine. I didn’t have beef broth so used chicken. Jennifer, I am finding out I just simply can’t go wrong with your recipes, I’m sold! Thanks! This recipe is easy to prepare and delicious! It’s the first time I cooked with Marsala wine, and the dry wine wor,ed well. Some other recipes recommended sweet and it was confusing. Thanks, Jenn, for your guidance And the fantastic wonderful recipe! Another great chicken dish to add to my go-to list! Hi Selma, You could definitely use half and half, although the sauce won’t thicken as much. Hope that helps! I tried this with half and half last week and it did not work. It curdled which left bland flavor and off texture. May try it without cream next time. Used marsala wine from Trader Joe’s which also seemed lacking in flavor. Good to know that the half and half gave you lackluster results – thanks for weighing in – I’m sure other readers will appreciate it (and sorry to hear this was not a total success for you)! This dish was so good! My husband requested that I make Chicken Marsala and I’m so glad that I checked this website for a recipe. I’m making your Beef Stew with Carrots & Potatoes today! I just can’t go wrong with your recipes! Thank you!! I just made this and served it with gnocchi and green beans. I think I was a little too impatient with the sauce and it didn’t quite thicken as much as I hoped BUT I’m not upset because it tasted fabulous. I took Jenn’s advice and cut my chicken breasts horizontally and they cooked evenly and quickly. Also only had dried instead of fresh thyme, no matter it was still gorgeous. Thank you for all your recipes Jenn, they’re always wonderful!! I’m on a marsala high…This dish was SO GOOD! I literally just finished eating and I had to tell someone how good it was. I’ve made a lot of Jenn’s dishes and this one made me feel like a solid chef. Chicken was perfect, sauce was balanced…I have no complaints. I added 2T of arrowroot at the end with 1/2 T (ish) of flour to thicken a little more. I didn’t want to sacrifice anymore liquid. Sides were long-grain white rice and broccolini. *typical italian finger to lip kiss* Oh, I happen to use buttermilk because that’s what I bought and forgot I needed the heavy cream. That may have been factor of needing to add thickener. I’ll make with HC next time, but just know, if you run into the same predicament, buttermilk ain’t too bad either. Can’t wait for the cookbook to get here!! SO SO SO good! I only had 1% milk, so I thickened the sauce with some Wondra flour and it turned out perfectly (and I only cooked the sauce for about 7 minutes). I served with roasted broccoli and cauliflower. Both my husband and my toddler thought it was delicious and asked for it again soon. This is amazing! I’ve made it twice already and it will certainly go into my regular repertoire. I served it once over egg noodles and once over riced cauliflower–you definitely want something to soak up the delicious sauce! I made the chicken marsala and it was fabulous! A definite do again! I made this for a dinner with my inlaws, everyone enjoyed it. It’s very easy and quick if you’re looking for something fast and impressive to serve company. I have made this twice now! It is the most delicious chicken Marsala that I have had anywhere even my husband and mother in law agree. So easy to make, instructions are very easy to follow. I feel like a 5 star rated chef when I make this! Thank you so much for all you do to help the Home cook feel like a gourmet chef and baker!! I made your delicious Chicken Marsala recipe, and it was absolutely delicious!!! My husband and son could not get enough. I made a double batch of the sauce because I made pasta noodles as a bed for the chicken, and the sauce became a base for the noodles, as well. I also added baby Bella mushrooms in addition to Cremini, and it made a delightful tasting sauce. Thanks Jenn, for the great recipe. I can’t get enough! It is definitely a keeper! Would using a cast iron skillet work? I’ve been using mine a lot lately. I know it can get hot and hold heat so perhaps it would be a bit drying of the chicken breasts? Hi Holly, As long as your cast iron pan is well seasoned, it should be just fine. Hope you enjoy! I made this last night for dinner and it was amazing! served with orzo tossed with my best olive oil and fresh asparagus. These is a wonderful dish. I want to make it for 8 people – do I just double everything? I have preordered your book at Amazon. Your recipes are great and I am a senior citizen who still loves to cook. Hi Bernice, So happy you’re enjoying the recipes — and thank you for your support with my cookbook! Yes, you can just double everything and of course you’ll need to cook the chicken in two separate batches. Hope it turns out well! Possibly the best chicken recipe I have ever cooked. Wow! The whole family loved it. Thank you for another amazing meal. I made this recipe the other night with one substitution, I used thin sliced boneless pork chops. I did not bread them, just browned them. Everything turned out fabulous! My kitchen smelled wonderful, the dish tasted incredibly good. Paired it with basil risotto, it was heaven! A bit of work, but well worth it! Thank you! An interesting happening…I made Chicken Marsala using a 5-star recipe from the Food Network and it was a real disappointment!! Since there are just two of us, I saved 3 pieces of the browned chicken to eat as leftovers the next day. Then, I received your email and saw your recipe (which was very different from the other) and decided to make Chicken Marsala again the next night using your recipe. Your recipe did not disappoint, the result was night and day different and absolutely delicious even using my leftover chicken breasts!! I will be making this again for guests. Your recipes never disappoint and I am always excited to receive them in my email. Looking forward to your cookbook! Thanks Jenn! OMG! Another big hit! I made this recipe on Sunday and my husband and I loved it! I can’t wait to get your cookbook! I preordered it last year. Thanks for all your wonderful recipes. We enjoy making and eating them! I loved this recipe. As a matter of fact every recipe that I try that’s yours I love. If you put it out there I know it’s going to be good. I told my daughter I wanted her to come over for dinner this week because I want to cook this for her. It Is Absolutely EXcellent!!! I made this recipe and it was great I would say that the next time I make it, I will use a stainless steel pan to ensure the chicken browns. Also, in my impatience for the sauce to thicken, I added some cream cheese which did not change taste but did for the consistency. The next time I make, I will add some patience and prepare according to recipe. This recipe was absolutely delicious! I had never had chicken Marsala before and wanted to take a stab at it. Seriously so good and easy! I’m pretty sure this will be a go to meal of mine!! I made this earlier this week and, as I was eating, thought to myself, “This is one of the best recipes I’ve ever made!”. I blushfully admit to literally licking my plate clean! : ) Thanks, Jenn, for another wonderfully delicious meal – you never disappoint! Just made this for the first time. Yummy! Question: why did you add the cream so early in the cooking process? Most recipes like this want you to reduce the wine and broth, then add a smaller quantity of cream to finish. Am curious why you opted to do it this way. Thanks! I just made this tonight and it was absolutely delish! I followed the recipe exactly and it turned out perfect! Thanks again for the recipe! Thank you again Jenn. Made this last night. (I halved the recipe since it was just my bf and I) It was excellent. (and I had no doubt that it would be)Wouldn’t change a thing. fyi – I made with (my version) of mashed cauliflower and your wonderful Brussel sprouts. (i’ll try your mashed cauliflower at some point… mine i just steam, add a little olive oil and a little cream cheese) Hugs! I was dying to make this since I saw it on your website. I made it tonight, and I’m happy to report that it was fantastic! I had a big package of chicken so I did two batches. There was plenty of butter and oil left in the pan, so I didn’t have to add any more. Thanks! The marsala that you used is it dry or sweet. It’s dry Marsala. Hope you enjoy! I made this last night and it was delicious. I was wondering if I used this recipe with veal if there was anything that I would need to change? Thank you for another incredible recipe. Glad you enjoyed it! I think it would work nicely with veal with no changes necessary. I made this delicious dish. Can I make it ahead of time like in the morning of serving? Hi Hugh, I do think this is best made right before serving but leftovers do reheat well, so you could probably get away with it. Another thumbs up after a OUAC dinner! This was delicious! I only had oyster mushrooms but they tasted just fine with the sauce. I served it with potatoes and steamed broccoli. Perfect meal! This would be so easy to make ahead for a dinner party! How can I make it wheat and gluten free? I have subs for the cream based on readers feedback. I’m on gluten, wheat and dairy free for 6 weeks. Hi Diane, you can use gluten-free flour in place of the all-purpose here, and just make sure the chicken broth you use is gluten-free. Enjoy! Adding to my previous review, I served the Chicken Marsala over angel hair pasta with freshly grated Parmesan cheese and a side of steamed broccoli. Delicious! Awesome recipe! Made this for the family and it was easy and delicious! This recipe looks great! I have guests who can’t eat either onion/shallots or garlic. Do you have any suggestions for substitutions? Hi Sue, If they’re able to eat scallions, I’d suggest finishing the dish off with a sprinkling of them. If they can’t, I would just leave the onions and garlic out (although, unfortunately, I will affect the flavor of the dish). I love your recipes so I’m going to give this a try. I do not have fresh thyme right now so if I use dried, how much should I use? Hi Debbie, I’d use a half teaspoon. Hope you enjoy it! Rich’s makes a non-dairy coffee creamer (frozen) which I have used as a substitute and it works well. I am planning to cook your chicken Marsala recipe for dinner with friends. I need a few suggestions of what to fix that would complete this meal. Hi Patsy, This would go well with the Green Beans with Shallots and Parmesan Smashed Potatoes. Also, I have a relatively new feature on the website– for all main dishes, I suggest one or two sides that I think would pair nicely with them. To see what I’ve suggested, scroll to the top of the recipe page and, right under the recipe title, you’ll see a bar with several options, one of which says “pair with.” If you click on this, you’ll see the sides I’ve suggested. Hope that helps! This recipe looks great! Will be trying it shortly. Did you use red or white Marsala? Hi Lisa, I have not seen dry Marsala classified as white or red – it is more of a rich caramel color. Hope that helps! Hi Sally, You can but the sauce won’t thicken up like it would with the cream. Please LMK how it turns out! I made this tonight and it was delicious! I used cutlets bc I’m short on time(2 babies) and used the parsley as my greens! Served over angel hair pasta. I also used regular red wine not Marsala and we loved it! I have Sweet Marsala wine. Would this be an appropriate substitution? That’s fine, Rita – it won’t make a big difference. You may find you need a squeeze of lemon at the end to balance the sweetness though. I wonder what stainless steel pan you are using for the recipe “Chicken Masala”?and what size? Hi Marjanne, I’m using a 12-inch All-Clad pan. Hope that helps! I plan to make it substituting Trader Joe’s unflavored non-dairy creamer for the heavy cream. Having used it as a substitution before, it adds richness and thickens a bit. Please report back on how it turns out with that! The recipe calls for dry Marasala wine, but is it red or white? Hi Stewart, Typically Marsala is not classified as red or white, but rather dry or sweet. Dry Marsala is a rich caramel color. Hope that clarifies! The dish looks great and I want to try it. However I don’t use any alcohol, so should I substitute it with something else? Hi, could this dish be made dairy free? Hi Kate, This is a tough one to make dairy-free. You could try replacing the butter with olive oil and replacing the cream with more chicken broth, but the sauce wouldn’t thicken. What if I used a cornstarch or cup 4 cup (just about the same thing!) slurry to thicken? Good idea! I’d love to know how it turns out if you try it. This looks fabulous but I don’t like mushrooms. Is there a substitute? I’ve really gotten back into cooking in the last year and I love your site. Looking forward to your cookbook and some warmer weather this spring! Hi Lisa, I think you could just leave them out – or thinly sliced bell peppers would be good. I made this tonight with no mushrooms but followed all other directions and it was AMAZING!!! Thank you for all of your wonderful recipes! In your notes, you specify using a stainless steel pan to brown the chicken. I use a cast iron pan virtually for all my cooking…can that be used as well in this recipe? Hi Aron, As long as your cast iron pan is well seasoned, it should be just fine. Hope you enjoy! Hi Jenn, We love your recipes! I’m wondering if you have any ideas on how to make this recipe dairy free as I don’t mix meat and dairy together? Hi Sharon, So glad you’re enjoying the recipes! Unfortunately, this recipe is very reliant on the cream, both to thicken the sauce and mellow the flavor. You could try replacing the butter with olive oil and replacing the cream with more chicken broth, but the sauce wouldn’t thicken. I’ve made quite a few of your recipes and love them all! I’ve preordered your cook book for all of my sisters. One for me, too, of course. I just wondered if I could make this recipe right before my guests arrive and keep it warm in the oven until we eat. Hi Cindy, Glad you’re enjoying the recipes! I think that’d be fine as long as it’s not in the oven for too long, otherwise the chicken will overcook. You could also just hold it at room temp for 30 minutes or so, then reheat. I think your photos are wonderful. Every step is clear. I must also add…delicious. Could you offer some advice for altering the recipe for people who can’t do dairy? Hi Mimi, Unfortunately, this recipe is very reliant on the butter and cream, both to thicken the sauce and smooth the flavor. You could try replacing the butter with olive oil and replacing the cream with more chicken broth, but the sauce wouldn’t thicken. This would pair nicely with French Green Beans with Shallots and Parmesan Smashed Potatoes. And just a heads up that I have a relatively new feature on the website– for all main dishes, I suggest one or two sides that I think would pair nicely with them. To see what I’ve suggested, scroll to the top of the recipe page and, immediately under the recipe title, you’ll see a bar with several options, one of which says “pair with.” If you click on this, you’ll see the sides I’ve suggested. Hope you enjoy!